With Easter coming up this weekend, one can wonder how to maximize family time together. I certainly don’t want you to spend all your time searching the web for what to do, so I’ve compiled a simple list below for how to find Easter Activities in your area. I certainly don’t want you to spend all your time searching the web for what to do, so I’ve compiled a simple list below for how to find Easter Activities in your area. Use an App like NextDoor or even Facebook to see if your hometown, neighborhood or community is holding an Easter Egg Hunt. 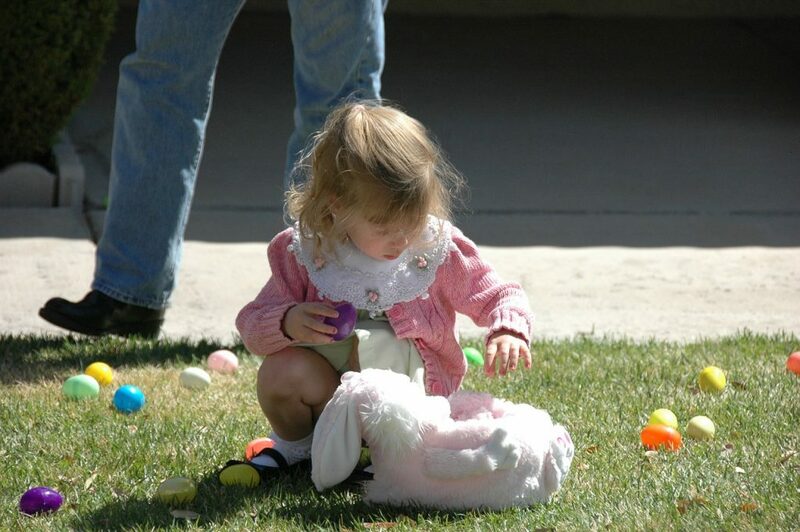 Many parks will host a multi-age Easter Egg Hunt that often includes other fun and free activities like face painting. I love going to Easter events at our local science center and museum because their activities go way beyond the traditional egg hunt and typically appeal to older children as well. Our local botanical garden offers age-level egg hunts amongst a beautiful backdrop of spring flowers, in addition to visits from the Easter Bunny himself. In addition to pictures with the Easter Bunny, some malls will also offer an Easter activities that typically involve coloring, stickers or other simple crafts. Many churches see this time of year as a great outreach opportunity, so be on the lookout for church and lawn signs directing you to one of their children-centered Eater events. Keep in mind, many of these activities will be held the Saturday before Easter, so it’s best to contact any of the above in advance to verify what day they’ll be holding an event and whether or not it’s free (sometimes places like the zoo or children’s museum will offer the activity free to members or free with admission). Another important point to mention is that Easter Egg Hunts are often divided by age so that older elementary children aren’t charging after the eggs at the same time as the toddlers. Don’t forget to dress in bright colors for all the fun photos you know you’ll be taking over the weekend. If you need some help staying on trend, check out my recommendations for Easter fashion for the entire family. You call also save big on all things spring during the Macy’s Easter Sale going on through the weekend. Whatever you decide to do this weekend, don’t forget to have fun with your family and community around you!